Doug Clapp, 1st Plt 68/69, sent us this clip from the Gene Simmons, USO Tribute show. Gene Simmons and Kiss may not a favorite group for most of us but he deserves an atta boy for this show. The troops really seem to enjoy the show. A special thanks to all of our servicemen and women stationed all around the globe who sacrifice so much for us. Thanks Doug for sending this awesome clip. The 3rd Squadron 4th Cavalry traces its direct lineage to C Troop 4th Cavalry which was constituted 3 March 1855 in the Regular Army as Company C, 1st Cavalry organized 17 June 1855 at Jefferson Barracks, Missouri. The troop was redesignated 3 August 1861 as Company C, 4th Cavalry. C Troop was reorganized and re-designated 29 July 1963 as the 3d Squadron, 4th Cavalry. Bingo Bingham recently received a photograph of C Troop, our squadron's ancestor organization, taken in the 1880s at Ft. Huachuca, AZ. The photograph is from the J.H. Dorst papers in the library of the USMA. J.H. Dorst served in the 4th Cavalry and is in front of C Troop in this photo. The photo was taken by C.S. Fly. See the back of the photo below. C.S. Fly ran a lodging house and photo studio in the mining town of Tombstone, Arizona in the 1880's. Doc Holliday lodged in C.S. Fly's lodging house. C.S Fly's studio was located next to the OK Corral. Billy Clanton was shot in the alley next to Fly's Lodging House, where the Clanton's had gathered. Billy was relieved of his pistol by C. S. Fly after the gun fight. In 1886, Fly accompanied General Crook to Canyon de Los Embudos for the negotiations with Geronimo. His most famous photographs are of Geronimo, the negotiations, and the Apaches. Thought you all would enjoy this piece of history. Photos provided by Bingo Bingham. Thanks Bingo! A Troopers Manny Montanez, Steve Turner, and David Olsen attended the super bowl party hosted by Jerry & Julie Crisp at their estate in Cota de Coza, California. The couple opened their home to 100 Marines from Camp Pendelton and 75 other area veterans. 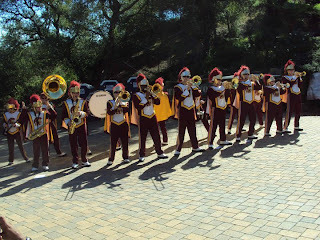 The guests were entertained by the USC Marching Band, The San Diego Charger Cheerleaders, and a Rolling Stones tribute band. 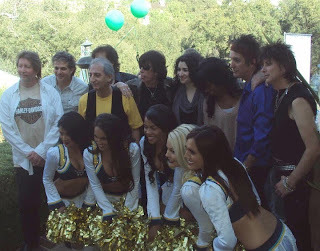 The super bowl was shown on large screen TV's throughout the estate. 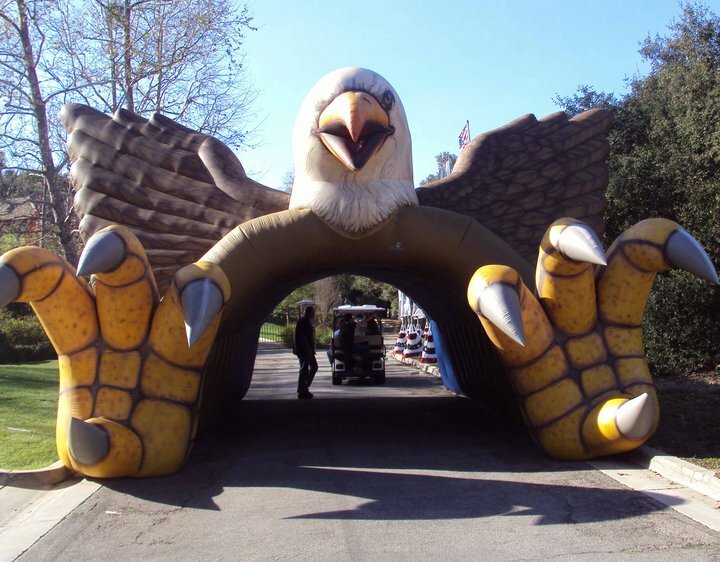 The event took the couple 3 months of planning and cost about $100,000 dollars. This is the first year the Crisp's hosted area veterans and the fourth year for the Marines at their home for the super bowl. Manny Montanez, 1st platoon 68/69, assisted the Crisp's with the planning. 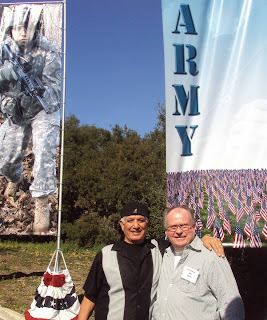 SSG Manny Montanez and SGT Steve Turner get re-acquainted for the first time after 42 years. Manny was the Tank Commander on A16 a M48 Tank, in A troop, 3/4 Cav in Cu Chi, South Vietnam. Steve was the loader on the same tank. On 8 Jan 69 the tank was hit by an RPG through the left side of the tank. Manny's legs took the full force of the blast. Steve was standing next to him inside and received a small wound. 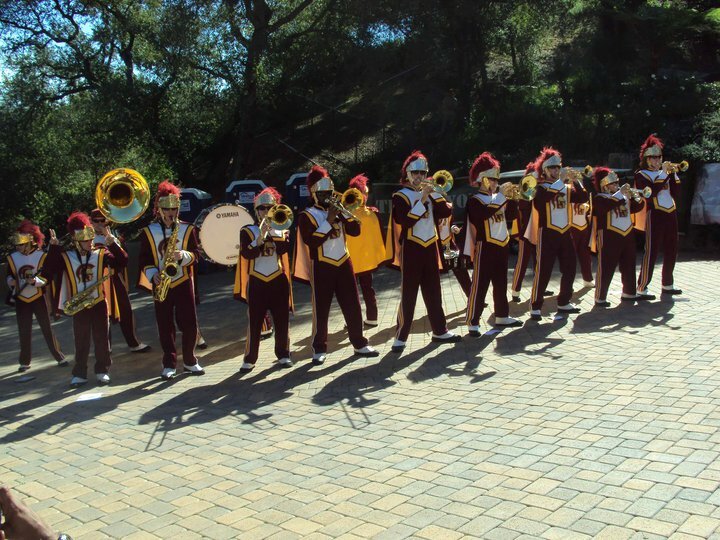 The USC Marching Band welcomes the veterans to the party. During the event the Marine and Veteran guests were treated to the super bowl on Multiple Big-Screen TVs, use of the Swimming Pool & Spa, Cigars, greeting by NFL Cheerleaders, mingling with Pro Football Players & Celebrities, Therapeutic Massages, Boxing, a riding bull, Opportunity Drawings, Giveaways, and abundant Food and Drinks. L.A. based singer Leah Turner performed for the guests. The San Diego Charger Cheerleaders and the Rolling Stones tribute band pose for photos. The American Eagle was a fitting entrance to this 2011 Super Bowl Party honoring United States Veterans. The party was hosted by Gary and Julie Crisp, who opened their home and hearts to Marines from Camp Pendleton and many Veterans of all ages from a variety of Units. Kudos to Gary & Julie Crisp for this wonderful event for our veterans. Thanks to Manny for inviting Alpha Troopers to the party.